BOCA RATON, Fla., Feb. 18 /PRNewswire/ — In a study due to be released next month, the world’s leading hair transplant and hair loss expert Dr. Larry Shapiro will show that men and women have been losing their hair from using popular weight loss and work out products that contain whey protein isolate – and it’s not just their genes that are to blame. According to Shapiro, popular nutritional supplements such as Creatine and anabolic steroids can cause hair loss because they quickly increase testosterone levels in the body. Weight-loss products that change the metabolism of the thyroid can also cause people to lose their hair. And people who undergo rapid weight loss—such as those who undergo gastric bypass surgery or have a gastric ring implanted—are also hair loss candidates. Shapiro noted, however, that not all nutritional supplements are bad for your hair. “The recent surge in genetic premature loss encouraged me to find out what specific ingredient in certain supplements was having such a negative impact on hair.” Shapiro’s study will conclude that whey protein isolates in many nutritional supplements are the problem behind what’s causing users to lose their hair. 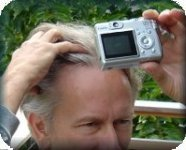 The study will show that 80% or more did better on the Help Hair formula with categories of improvement in fuller, thicker, healthier hair compared to regular whey protein isolate, which resulted in a majority of participants reporting poor quality hair growth and even hair loss. In response to this finding, Shapiro formulated a hormone-free powder that does not cause hair loss and supports hair growth naturally by providing all the nutrients hair needs to grow. The Help Hair formula is fortified with amino acids, and B vitamins, niacin, PABA, Chinese herbs and roots to support the structure and function of hair. Shapiro’s study will show that the formula has helped the hair of users look thicker, stronger and fuller. Dr. Larry J. Shapiro is a world renowned hair transplant surgeon and one of the world’s leading experts on hair loss. With offices in Delray Beach and Hollywood, Shapiro has practiced in South Florida since 1989. He began specializing solely in hair transplants in 2003. Dr. Shapiro was the first doctor in the U.S. to do the strip incision and micro/mini graft, follicular unit technique. He has performed more than 11,000 procedures and has written numerous articles on hair transplantation. He has also treated more than 35,000 dermatology patients. Shapiro was an active member of the American Osteopathic College of Dermatology for 15 years, and he was a charter member of the International Society of Hair Restoration. Help Hair, formulated by Dr. Larry Shapiro, is an all-natural organic whey concentrate protein shake mix that helps to thicken hair. The shake contains niacin, folate B-12, biotin, iodine, zinc, amino acids, foti, kudzo root and silica. It has no artificial ingredients, no xantham gum, no msg, no wheat, no gluten, no soy, no sulfites, no eggs, no rGBH and no nuts. He also offers a complete line of vitamins, shampoo and conditioner that will help make users’ hair thicker, stronger and healthier. The product is available on his website at www.helphair.com or at Whole Foods Market throughout South Florida. This entry was posted in Baldness, General, Genetics, Hair Health, Hair Loss, Hair Loss in Women, Hair Loss Products, Herbal Treatment on February 18, 2010 by Larry Shapiro.